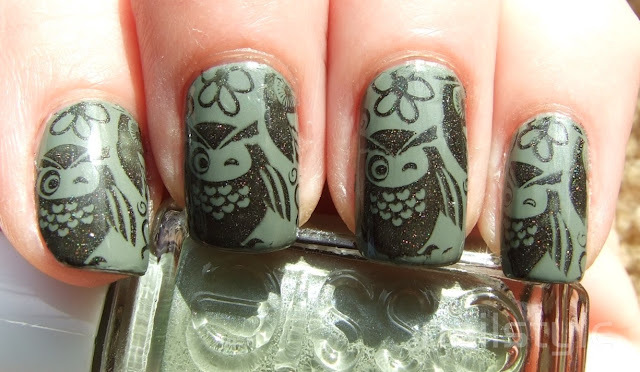 So this has got to be one of the cutest stamping plates I've seen - owls!! 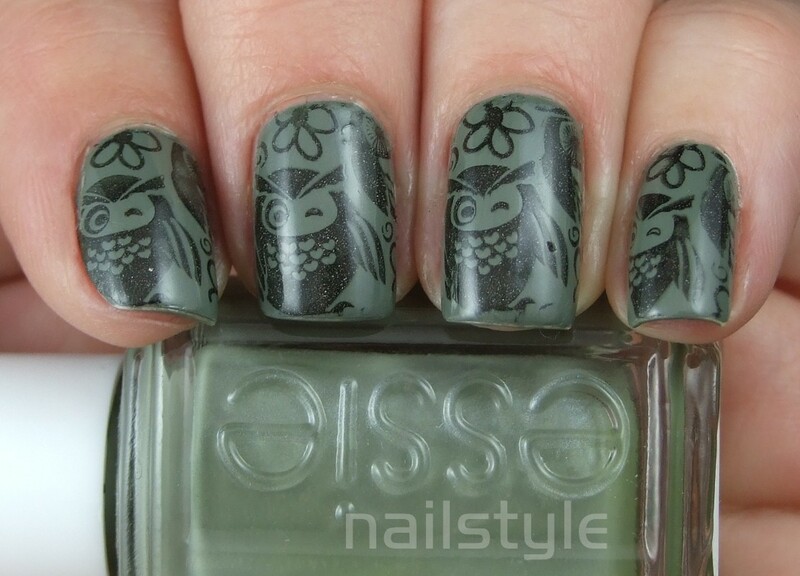 Today's mani is Essie Sew Psyched which is a colour I've worn before here and I just love this dusty pastel olive. This was two easy coats. I've been wanting to break out of my comfort zone and try stamping with some different polishes. This is A England's Bridal Veil - and I am pleasantly surprised with what a good crisp image it produced. This last photo is my first attempt at photographing in a light box . . . needs some work me thinks! lol At least the colour is fairly accurate. How adorable are these!?! LOVE IT! awwww this is SO cute!! you did a great job!! This is so adorable. I've never used Bundle Monster. Is it better than Konad? Aw, what a lovely stamp ^_^ ! And yay for no captcha :D ! The owl stamping is amazing!!! Love the background color, love the sparkly black you used to stamp. So awesome! 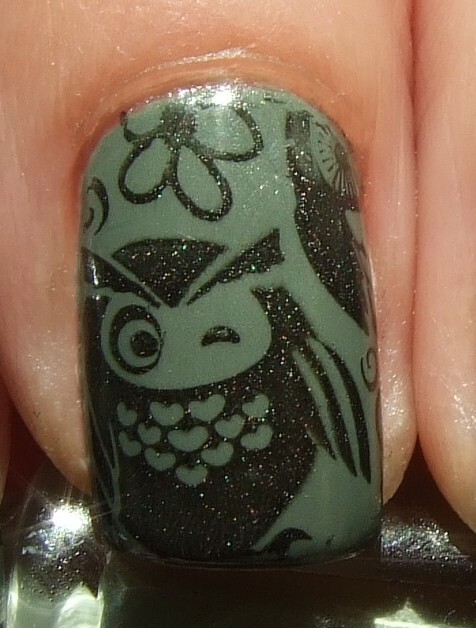 This owl stamp is the cutest thing! Loveee it with Sew Psyched!